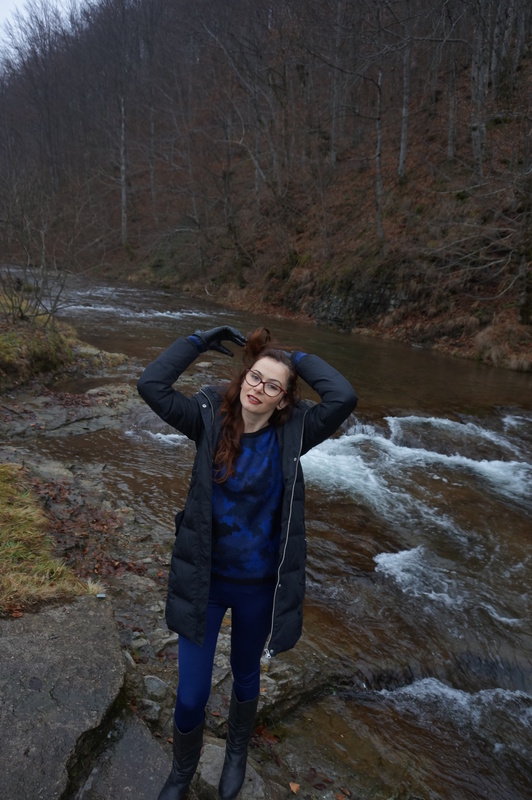 My first post in 2015 is about Christmas, that I spent with my family in the mountains. Unfortunately we were not lucky enough to have snow, but the festive vibe was still on! Christmas is a holiday that should be spent among the family and dear ones. If you have them, the rest is just details which do not matter anymore. Joy, love, warm, serenity was what I felt during my Christmas escape to my parents` and it was exactly what I needed! Our location was in the mountains, in a very special and lovely place. There was so much impressive nature surrounding us, that it would have been a shame not to show you some pictures. What I wore on the 25th of Christmas: jumper and leggings from New Yorker, a winter jacket from Villa and my mom`s old leather boots which are extremely comfortable and warm! In my next post I will show you how we partied on NYE! You look gorgeous and what amazing scenery! Love your coat! Thanks a lot. Have a great week! Love that coat. It looks so fluffy and warm. Your sweater is great! Thanks so much for stopping by my blog!